Different forms of art attract different people. Depending on who you are as a person and your interests, some art may inspire you, whilst some may not. Being an artist, finding your niche is where you want to start. Many artists inspire me, and I believe this is because I am inspired by their aesthetic and the culture behind their art. The artists below have inspired me and challenged me to think about art in a totally different way, by representing themes and values that struck attention with me. Tanya’s art is an acid journey in itself. As described by art guide online, Tanya’s art is “A bedrock of narrative tradition spans the continents, propagating characters, superstitions, fables and oral retellings across different cultures, each tinted with regional variation, but sprouting from the same cultural need for fiction and magic.” Tanya sums it up herself, once again… “All cultures have their own mythologies about places that don’t actually exist: utopias, or paradise. Schlaraffenland is a paradise made of food, where you can eat everything you want.” Her work is truly remarkable as it is so large in size and so detailed at the same time. 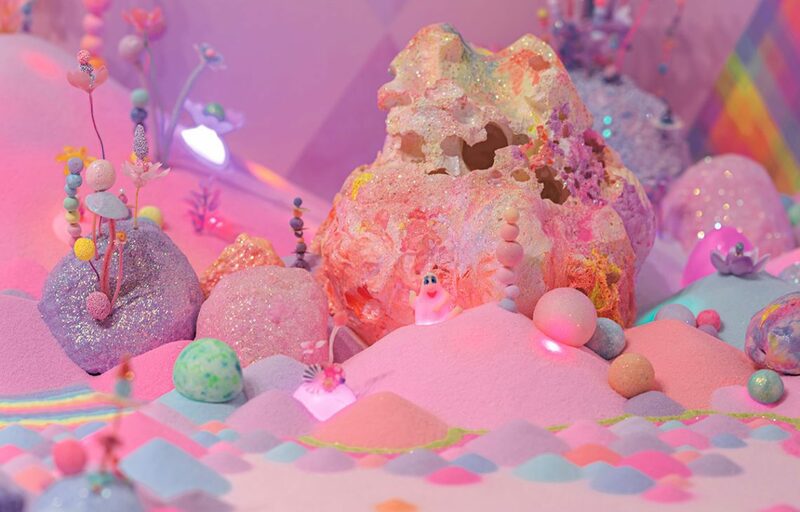 I love how all her work is constructed from “sweetness” in order to create a narrated world where one may finally reach “paradise.” Tanya inspire my creative mixed media side of art. The range of materials she uses have made me experiment with many mediums of art. Popular Instagram artist, Sara Shakeel is an artist who inspires me through her use of conceptual collage art, primarily because of the fact that her work reminds me of my own. As an artist, I am inspired by Sara’s creative thinking process. The art she showcases is all personal to her… “”Each picture heals a part of me & i hope it heals a part of you too.” Her use of promoting personal troubles to relate to her audience is a way in which art helps to connect all people. 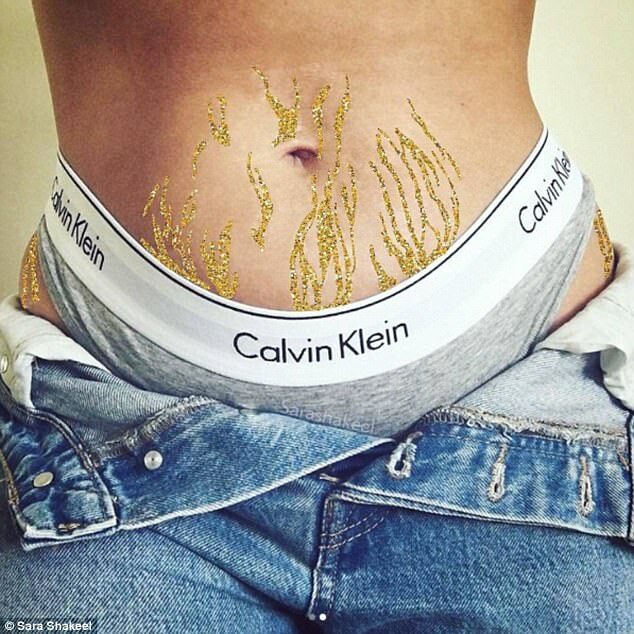 An example of this is how she was inspired to start making photos of stretchmarks into glittery masterpieces. Referencing her artwork Sara said. “With all that in mind, I made glitter and space stretch marks. I’ll be honest — before even uploading them I was wondering, ‘why would anyone be interested in my stretch marks?’ Little did I know the world needed this empowerment and some amazing ladies were already on that mission.” So in summary, Sara’s work inspires many people as she connects with them on a personal level and on topics some are scared to address. I love the topics Sara addresses in her art and she provokes me to continue on the feminist message and the unknown power of women.